If you are or want to be open source developer,you must try GitHub. It is a new hosted Git repository service that's being called a "social network" for programmers. It is basically a distributed version control system designed to handle everything from small to very large projects with speed and efficiency. If you have created your account at github and now you want to work with it from your terminal. xiehaozhe@XieHaozhe-Think:~/.ssh$ ssh-keygen -t rsa -C "zjhzxhz@gmail.com"
Click "Add SSH Key", and paste your SSH key. 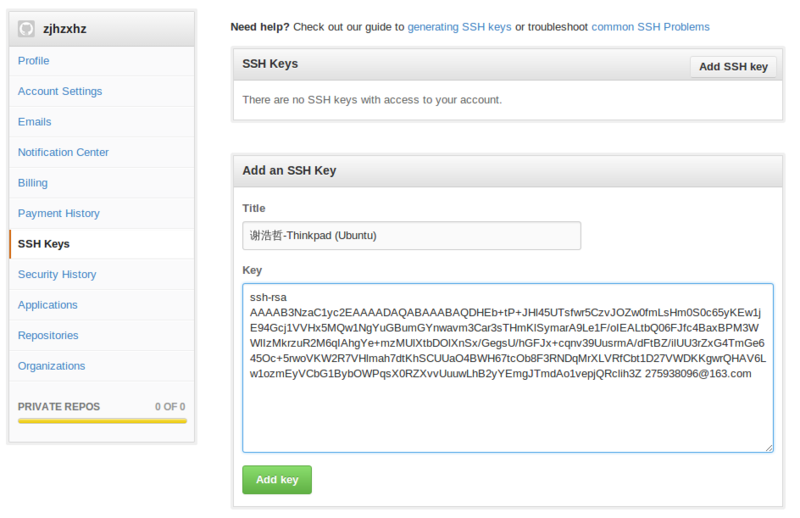 For most users, simply running ssh-add to load your keys into the SSH agent will fix this issue. Hi zjhzxhz! You've successfully authenticated, but GitHub does not provide shell access.